Last night I couldn’t sleep..and so decided to take care of some unfinished business.Its about time too. This project is very close to my heart.It was the last project that my mom had started,before she got sick.After she passed away,we put it away,with the rest of her things. For the next couple of years,I would bring it out,once a year,look at it,touch it fondly,remembering my mom.And I would put it back in her suitcase,with the rest of her things.One year,I worked some stitches but got too overwhelmed and put it away. 4 years backs,I took it out again,worked a couple stitches,then decided to leave it for another time..another time,when I didn’t feel so raw!I brought it here,this time..and since then,I had looked at it so many times..I kept putting it away..saying,”another time”..
Last night,I couldn’t sleep..I just couldn’t.I didn’t feel like browsing..So,I took the kit out and started sorting the threads methodically,working color-wise,till all the threads were seperate. 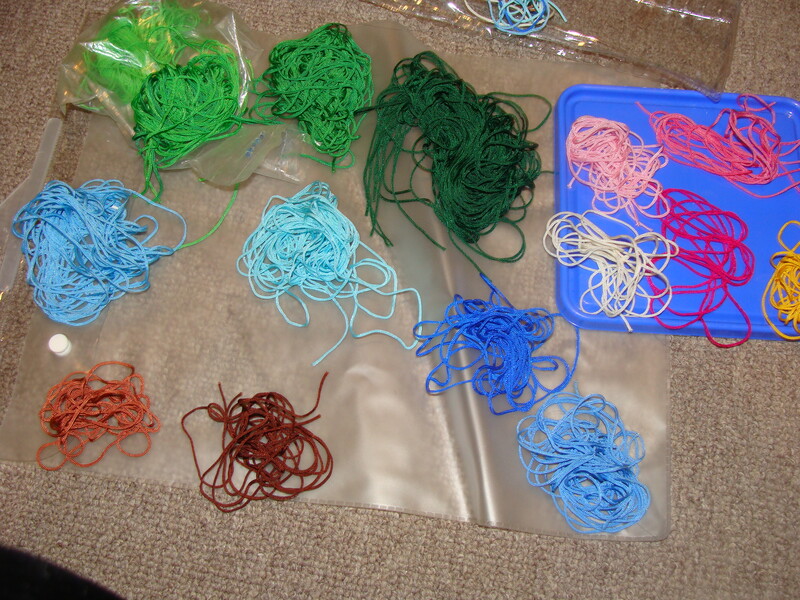 4 shades of green,3 shades of blue,3 shades of pink,2 of brown and one each of yellow and cream…Finally all the threads were separate. I still wasn’t feeling sleepy,so,I started working on it..its still work in progress…But,I am happy,I am doing it. My mom finished the smallest one..I am working on the largest ring..there are 2 more rings in between. Working on this project makes me miss my mom even more..She was so full of ideas..and so enthusiastic about it..I get my crafty genes from her!! 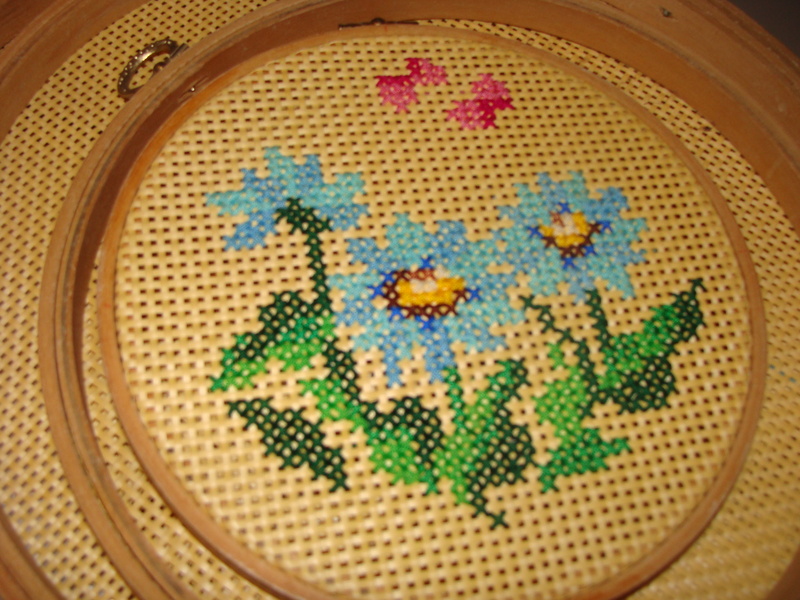 I tried some counted cross-stitch kits when I was in USA,but gave up/gave them away..they just lacked the zing..or the briliance..or may be they lacked the one thing that I associate with cross-stitch..My mom..Guess we’ll never know..
do this one you mom will watching you. Aww thanks Vasu ji..i really appreciate your comment.